Whether you prefer action-packed itineraries or travelling at your own pace, Artisan Travel has it covered with a great new range of hand-crafted trips for adults this winter. 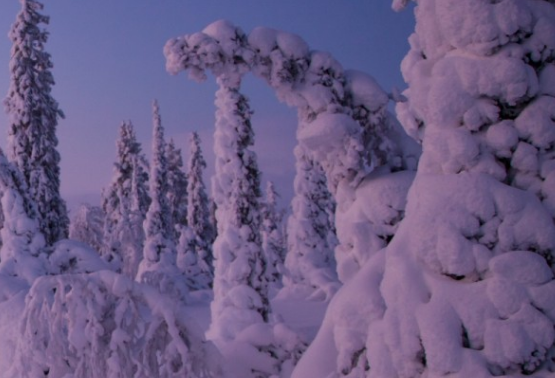 Lapland – Winter Adventure at Christmas explores Finland’s snow-capped forests and fells. Sleep in cosy cabins, go sledding with huskies, try cross-country skiing and master snowmobiling. There is also a Christmas Eve snowshoeing expedition to search for the Northern Lights, a visit to a reindeer farm and lunch at an ice restaurant. Four nights from £1,595 pp* (two sharing), including flights. Departs 22 December 2016. Pace: Active. 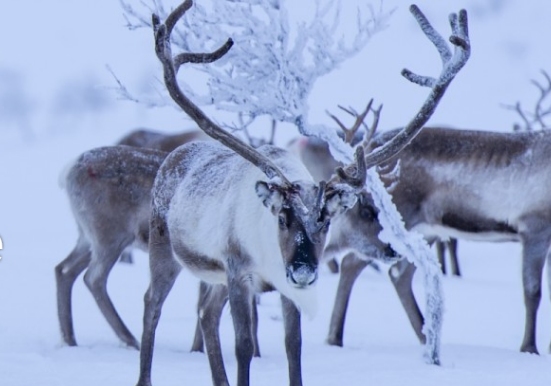 Ski down the snow-covered fells in Ylläs, where the snow record is excellent; let reindeer lead you on a snowy sleigh ride and spend Christmas Day ice fishing and snowmobiling. The week-long Akaslompolo – Christmas Week is based in the picturesque village of Äkäslompolo, located in pristine wilderness above the Arctic Circle. Seven nights from £1,925 pp* (two sharing), including flights. Departs 20 December 2016. Pace: Balanced. Celebrate New Year’s Eve twice on Artisan Travel’s Utsjoki – New Year twice trip. Start with a traditional Finnish dinner in Utsjoki before crossing the border into Norway for more festivities. Other activities include a husky safari, cross-country skiing, snowshoeing and a visit to a traditional Sámi village. Six nights from £1,795 pp* (two sharing), including flights. Departs 26 December 2016. Pace: Balanced. See in 2017 in Luosto, Finnish Lapland, on an action-packed Lapland taster week itinerary with cross-country skiing, a 10km-long husky ride and Northern Lights expeditions. Ride on snowmobiles to the Lampivaara Amethyst Mine, where you can dig – and keep – the pretty gemstones. Seven nights from £1,825 pp* (two sharing), including flights. Departs 27 December 2016 – 3 January 2017. Pace: Balanced. NEW this winter! Iceland - Glamorous New Year Gala, Glaciers and Geysirs- an Iceland trip ideal for those wanting a very different New Year break. Spend New Year’s Eve at a gala dinner including an Icelandic band and fireworks. Tailor your holiday with optional activities – a visit to the Blue Lagoon, snorkelling in the Silfra Fissure (between continents), a blue-ice glacier hike, dolphin and whale watching, horse riding on lava fields or a tour of the Golden Circle, South Coast and Reykjavik city. Four nights from £1,095 pp* (two sharing) including flights. Departs 29th or 30th December. Pace: set your own. Reykjavik was recently in the news when the council switched off the city’s street lights to enable residents to get a better view of the Northern Lights. But on our new trip, A Winter Break in Reykjavik and Keflavik that won't be necessary, as it combines time both in and out of the city, giving you the opportunity to see the Northern lights away from the light pollution of Reykjavik. In addition to the Northern Lights hunts, you’ll also enjoy whale watching and of course a visit to the Blue Lagoon in Keflavik Four nights from £895 pp* (two sharing), excluding flights. Departures until 31 March 2017. Pace: Relaxed. Spend three days mushing through the Finnish wilderness on a husky safari. Led by a team of husky dogs on your very own sled, you will cover distances of up to 50km per day, forming a close bond with the dogs and the wilderness around you. Two nights are spent sleeping in a remote, traditional cabin where you will prepare a traditional sauna and cook on an outdoor fire. Four nights from £1,745 pp* (two sharing) including flights. Departs January – March 2017. Pace: Active. Starting and ending in Anchorage, Alaska – Journey to the Arctic Circle will combine true wilderness experiences with Alaskan city life. 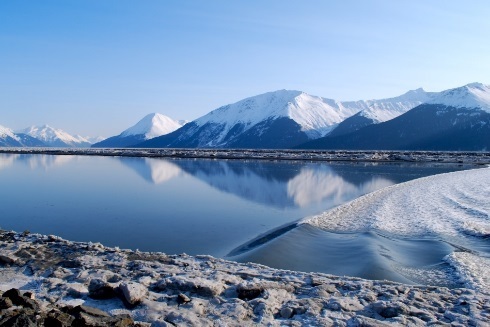 Relax in the Chena Hot Springs, ski in Alyeska, explore the region’s glacial landscape by snowmobile, and go flightseeing – by sea plane - over the country’s wintery landscapes. 10 nights from £ 3,255 pp* (two sharing), excluding international flights. Departs 1 December to 30 March 2017. Pace: Balanced. Or, looking for some winter sun? Banish the winter blues on an adventurous trip to Malaysian Borneo. Activities include zip lining, tree planting, snorkelling, mountain biking, jungle trekking at night and survival skills. Visit monkey, orangutan and sun bear sanctuaries, explore the Gomantong caves and go scuba diving and white-water rafting. 11 nights from £2,925 pp* (two sharing), excluding flights. Departs 7 October - 10 December 2016; February – December 2017. Pace: Active.